In most businesses, employees have a wired Voice Over IP (VoIP) telephone desk set, and also a smartphone. With today’s communication technology, however, businesses do not need communication solutions that include wired VoIP desk sets twinned to smartphones, and remote workers no longer require VoIP Teleworker desk sets. Workers simply don’t need both a wired and a mobile phone to perform effectively. This concept is disruptive to the industry as VoIP providers earn significant margins on these desk sets. In today’s world, work is no longer a place we go to, but a thing we do! Many of us can do our work from anywhere and at any time. Smartphones have made that possible. With the technology now available, smartphones have virtually equal capabilities of the expensive VoIP desk set including ext. to ext. calling, call recording, call reporting etc. The reduction of VoIP desk sets will reduce the cost of the data infrastructure and support contracts required to manage the VoIP hardware. The flexibility a Mobile only business solution provides is significant. From setting up an office to moving an office or operating without an office, communication costs will drop dramatically. Since employees always have their smartphones available, they can always be reached by customers. Therefore improving the levels of customer satisfaction. The Millennial generation has made this simple decision already. In their homes they do not pay for a wire line as it is a redundant service. Their communication needs are fully serviced with their smartphones. . The rest of us have been slower to reach this decision, but at an accelerating pace landlines are becoming a thing of the past for the residential market. 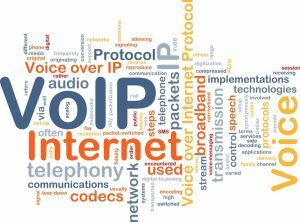 VOIP system manufacturers focus on selling high margin VoIP desk sets and twinning them to smartphones, simply because they make more money this way. The third reason is corporate workers like the VoIP desk set experience. Zigee solves the desk set experience issue. Drop your smartphone in the charging cradle. Connect it using Bluetooth, and you now have a full working desk set without the high costs. It is a simple and cost-effective solution, which gives your employees the best of both worlds.